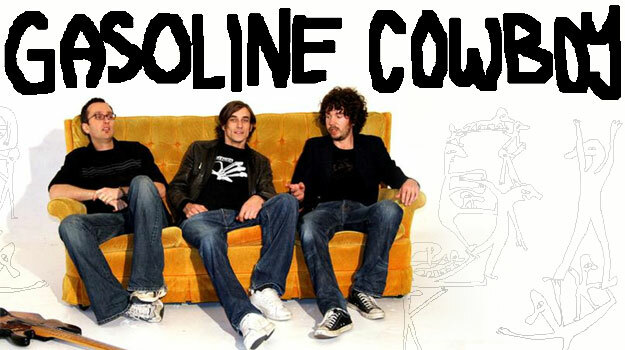 Based in Auckland, Gasoline Cowboy are an original three piece who play their own distinct style of minimalist melodic rock. Originally from Christchurch, the trio formed after a fusion of seminal local acts Slim and Fuce. Gasoline Cowboy had been gestating since the late 90’s in singer/songwriter Jolyon Mulholland, as a side project alongside his involvement in Fuce. Long time friends Scott Mason (drums/Vocals) & Greg Hillier (Bass/Keys) joined with Jolyon’s project in 2003, giving birth to a band that has become highly respected amongst musicians and industry. Their impressive live act has caught the attention and support of acclaimed NZ artists such as The Finn Brothers, Goldenhorse, Goodshirt, Pluto and Gramsci. 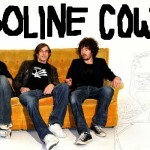 Gasoline Cowboy’s output has been prolific, with a huge repertoire of written and recorded material thanks to the bands ability to self-produce through Mulhollands engineering & production skills. The band have independently released two NZ on Air funded singles & video clips I hear you call my name directed by Richard Bell, and Heading for the ground directed by Duncan Cole & recorded by Neil Baldock (Che Fu/Neil Finn/Dave Dobbyn). I hear you call my name received extensive airplay on the b.net (reaching #1 on Radio Active) and Channel Z. It also featured on the second Arch Hill Recordings compilation The Hill is Alive along with a second song called Philosophies. Both were the standout tracks on the album… “Of the new crew, Gasoline Cowboy impress the most with their dreamy two tracks…” Russell Baillie, The Herald. Now the band have just released their long awaited self-titled Mini-Album. Released independently, this 5 track EP serves as a taste of what to expect from their debut album, with two previous singles and three unreleased songs Out of my hands, Stumble round (Television Radio release in Nov 2005, filmed and edited by Scott Mason) and Leaves which has just received an NZ on Air video grant. The CD is available in all good music stores, and online at Amplifier.co.nz.